You’ve made a notable investment in your facelift surgery. 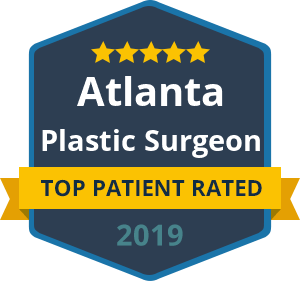 While the longevity of your results largely depends on the severity of your aging concerns, the type of facelift procedure you underwent and your age at the time of surgery, there are still countless things you can do to make your results last longer. The health of your body has a profound impact on the appearance of your skin. Keeping yourself hydrated and eating a nutrient-rich diet can ensure your skin is able to repair cell damage and flush out toxins effectively. Chronic exposure to the sun can accelerate the aging process and formation of wrinkles. Make sure to use a high SPF sunscreen on your face or wear a hat when you spend time outdoors. Remember that you can still reap the consequences of UV rays when it is cold outside. Smoking can wreak havoc on your skin as well as restrict your body’s natural healing process after plastic surgery. Studies show that adults who smoke look older than those who do not. Smoking tobacco causes the elasticity of your skin to weaken or breakdown, which promotes the formation of fine lines and wrinkles. In addition, the carbon monoxide in cigarette smoke can deplete vital nutrients that give your skin its youthful glow. To ensure your facial skin stays healthy and vibrant after your facelift surgery, it is a good idea to schedule some skin resurfacing treatments. Chemical peels, microdermabrasion and laser resurfacing are quick, no-downtime treatments that can make a difference in how well you retain your cosmetic results. At Beverly Hills Center for Plastic and Laser Surgery, we offer the most advanced surgical and non-surgical cosmetic procedures for the face. We work hard to help patients achieve their ideal results, and we are equally dedicated to helping them retain those results for as long as possible. For more information about our services or how to maximize your facelift results, please contact us today.